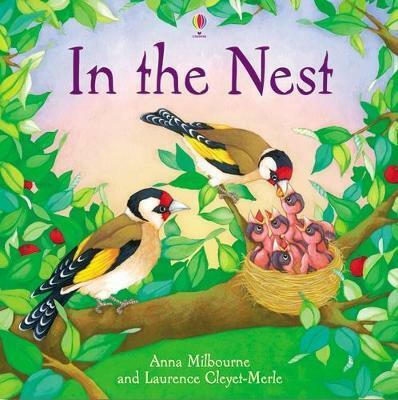 This is an evocative artist-led picture book with a padded cover, illustrating the first days and weeks in a nest of young birds as they learn to fly, feed themselves and gain their independence. The lyrical text introduces children to nature, encouraging both a sense of wonder about the natural world and a respect for nature. The gently descriptive yet informative text takes the form of a story which explains how birds nurture their young.